Long a benchmark in the quality practice of law, the Quinn Law Firm is prepared to meet the legal challenges that face our clients. As one of the largest general practice law firms in northwestern Pennsylvania, with more than 25 lawyers and professionals, we offer our clients a broad range of expertise. Departmentalization, the heart of the firm's organizational structure, positions the Quinn Law Firm well for the 21st Century. 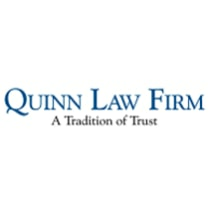 Conveniently located in the center of our community, the Quinn Law Firm offers our clients easy access to expanded facilities and state-of-the-art equipment to ensure the highest quality legal service. In this uniquely progressive environment, the Quinn Law Firm continues to expand its commitment to serving Erie and northwestern Pennsylvania.